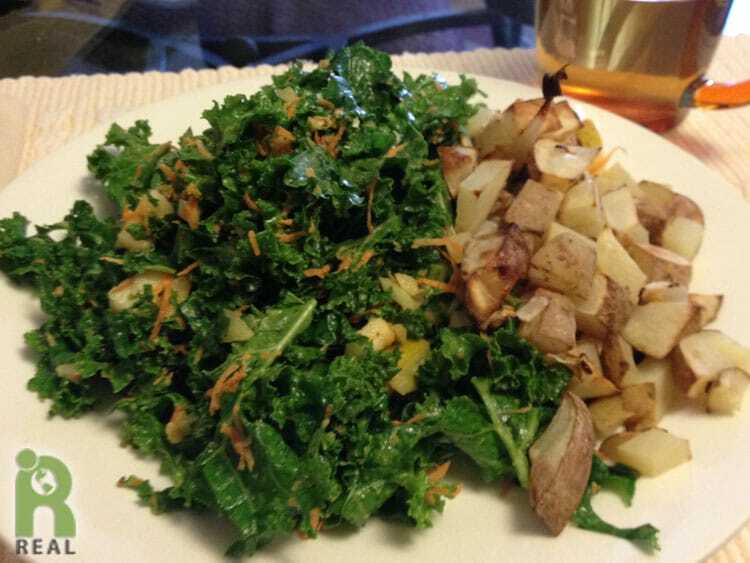 Breakfast: A savory late breakfast that lasted all day – Kale Salad and Baked Home Fries. The potatoes were cut into small cubes and baked with bits of diced onion. 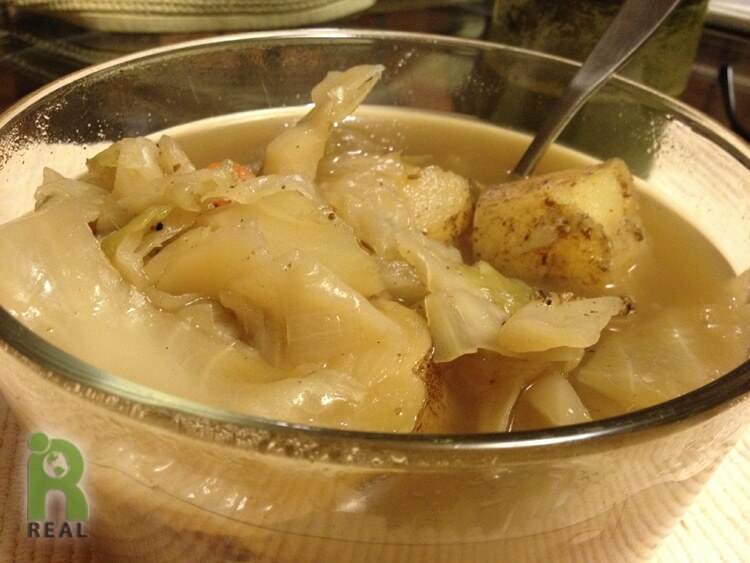 Dinner: Yesterday’s cabbage soup was even better today, served up in 7 cup bowls! Big Soup. Dessert: There are still plenty of leftover treats from our Swingin’ Halloweegan Fondue Party. 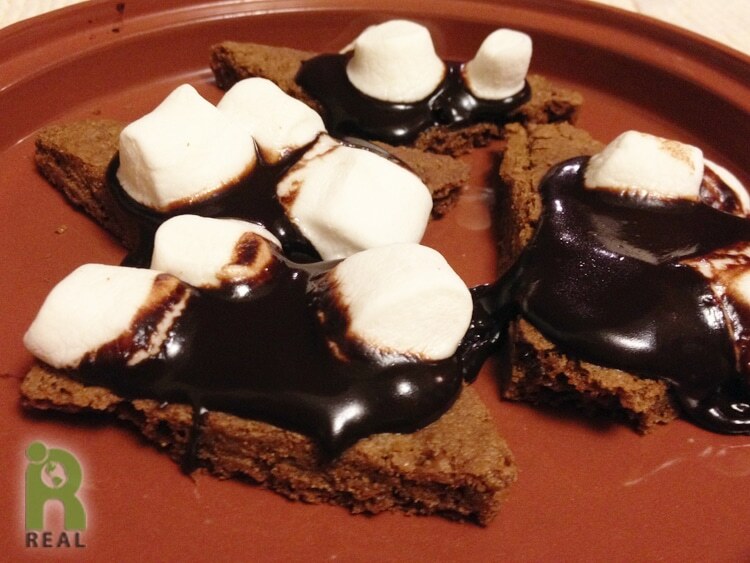 We had S’Mores with our homemade, gluten-free graham crackers and Dandies.